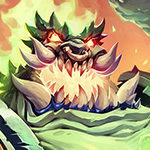 What will happen to budget decks in the Hearthstone Standard rotation 2019? Complete My Deck – How good is netdecking within the Hearthstone client? Will there be combo decks in Hearthstone’s Year of the Dragon? What happens to the decks that use Hall of Fame 2019 cards?